يقع فندق Clearbrook Motel and Serviced Apartments، المصمم ليناسب كل الضيوف سواء كانوا من رجال الأعمال أو السياح، في مكان ممتاز في أحد أكثر المناطق تفضيلاً في City Center. إن موقعه الجيد الذي يبعد 0.25 km فقط عن مركز المدينة يساعد النزلاء على الاستمتاع بمعالم المدينة ونشاطاتها. إن سهولة الوصول من الفندق إلى المعالم السياحية الشهيرة الكثيرة في المدينة كمثل The Artist's Corner, The Picture Lounge, Wanaka Fine Art Gallery هو استثنائي بحد ذاته. كما يقدم Clearbrook Motel and Serviced Apartments الكثير من الخدمات لإغناء رحلتك في واناكا. يمكن الاستمتاع بمجموعة من الخدمات على أعلى المستويات في الفندق كمثل واي فاي مجاني في جميع الغرف, خدمة التنظيف يوميًا, مجهز لذوي الإحتياجات الخاصة, مرافق مخصصة لذوي الاحتياجات الخاصة, تخزين الأمتعة. في Clearbrook Motel and Serviced Apartments غرف نوم يزيد عددها عن 16 صممت بذوق وعناية لتوفر لك كل وسائل الراحة . بعضها يحتوي أضاً على تلفزيون بشاشة مسطحة, حمام إضافي, مرحاض إضافي, سجاد, رف للملابس. كما أن مجموعة الخدمات الواسعة الموجودة في الفندق لضمان راحتك تترك لك الكثير من الخيارات لقضاء وقتك أثناء فترة إقامتك. يشكل Clearbrook Motel and Serviced Apartments بخدماته الراقية وموقعه الممتاز، قاعدة مثالية للاستمتاع بإقامتك في واناكا. 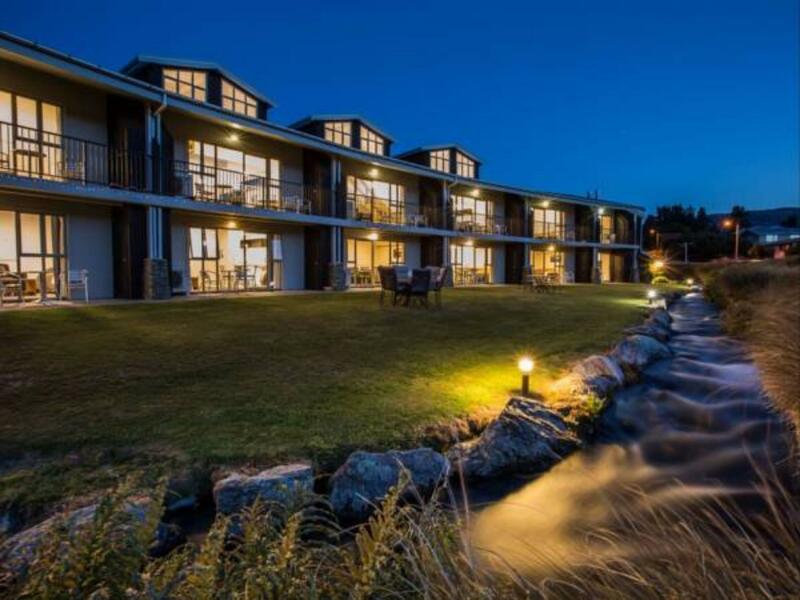 5 of us stayed here while traveling around NZ. The property we had surpassed all expectations and the staff went so far out of their way to make sure we had everything we needed. Can't recomend this place enough. 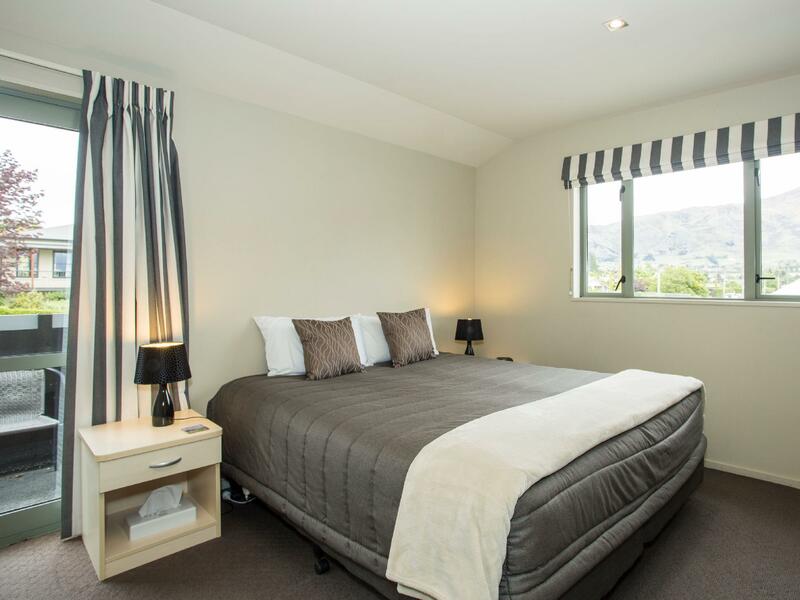 We had a lovely large self contained room with a fantastic view of the mountains and facing a lovely stream and grassed area. The hotel is a 2 minute walk to the main street of town where we had a wonderful Indian meal. I would highly recommend this hotel. Perfect vacation stay. Overseeing brooks from your balcony. spacious and clean. Have washing machine. Beautiful apartments, fully equipped with everything you could need and only a two minute walk to the town centre. The rooms were ok, love the little stream running through the hotel grounds. The staffs were friendly. They have dryer machine which is the only one hotels I stay have that facility throughout NZ journey. We booked this hotel on Dec 2015, we booked 2 rooms apartment. This hotel look tired and need refurbishment, with this price we even can get better hotel near the lake. 10 minutes walking distance to lake and there is nothing much around this hotel, its just a very basics hotel with about 20 rooms. It's a nice and quiet place for stay.there is the beautiful mountain view.sometimes the duck will come to your room.it's not far away from the town center. We stayed for 6 nights and appreciated the spaciousness of our 1 bedroom apartment although storage space for clothes was limited considering the apartment could accommodate 3 people. 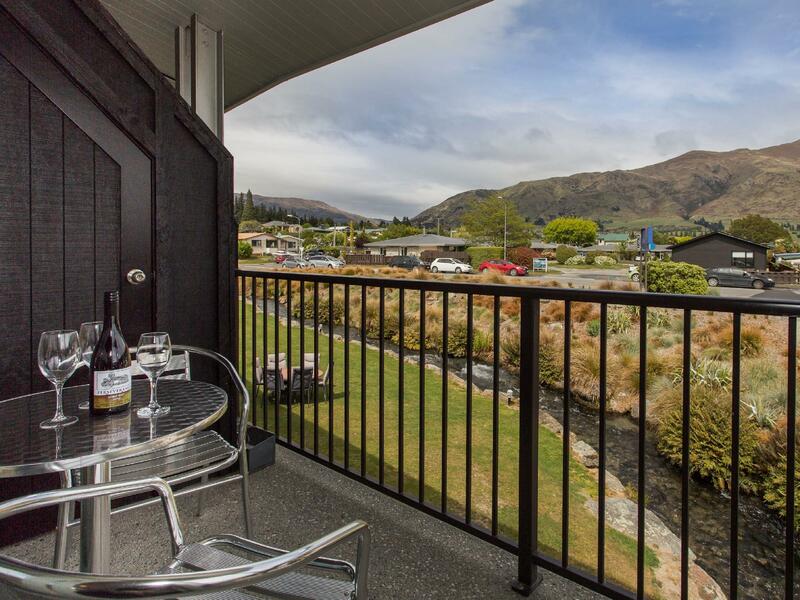 The location is far enough from the centre of Wanaka township to be quiet but close enough to allow a short, easy walk to shops, restaurants and cafes. 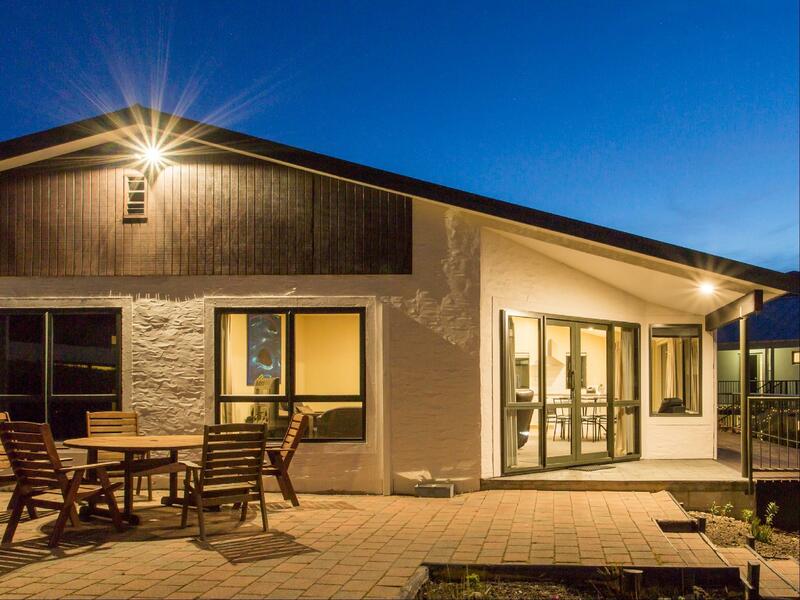 Plenty of good dining options in Wanaka. We had to pay a small fee for internet access which in most other places we stayed was provided free of charge. Staff were friendly and service was very good.